Hong Kong’s first batch of virtual banks have made it a point to emphasize customer-centricity — a stance that’s likely to mark the start of their campaign to woo the public. “We want to be a challenger and provide better customer services. 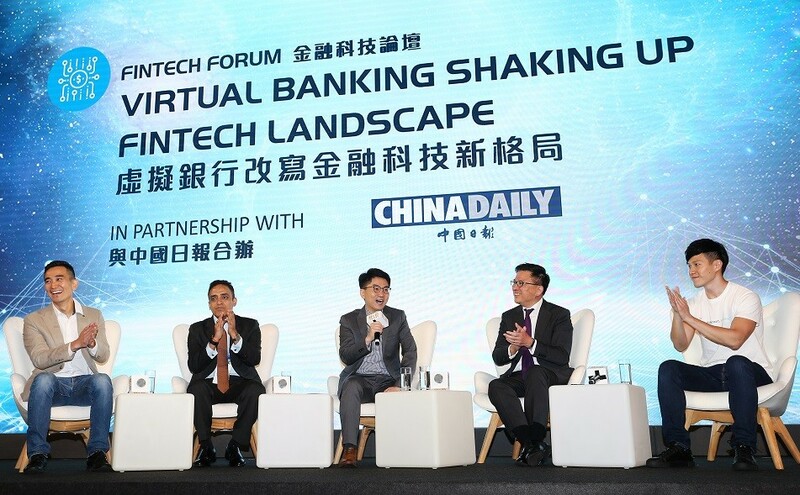 We do so by imbedding our tech DNA into innovative customer experience,” Ceajer Chan Ka-keung — senior advisor to online lending platform WeLab — told a panel discussion themed “Virtual Banking Shaking Up Fintech Landscape” organized in partnership with China Daily on Tuesday. 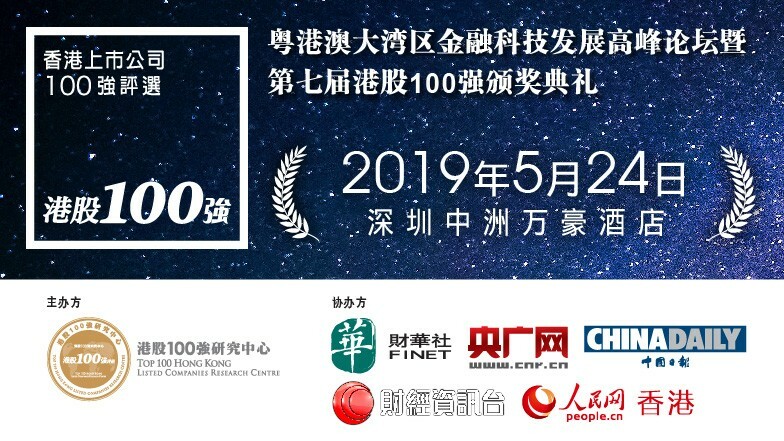 The forum was held in conjunction with the two-day Internet Economy Summit, at which representatives of the four virtual banks that have been granted licenses by the Hong Kong Monetary Authority so far would be keen to shine the spotlight on consumer experience. Chan said the customer experience has to be “instant, intelligent and interactive” — features he hopes will be used as a model for existing products and services that energize the ecosystem. WeLab became the fourth company to win a virtual bank license in Hong Kong from the city’s de facto central bank last week, and the first stand-alone enterprise to have been issued one. The other three licenses were awarded last month to joint ventures involving Bank of China (Hong Kong), Standard Chartered Bank and online insurer ZhongAn Online. 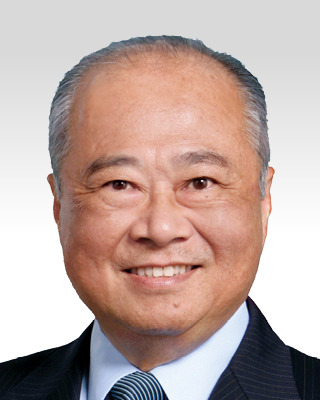 Ken Lo — founding member of ZhongAn International — voiced similar sentiments about customer experience. “We want to leverage technology to empower the customer experience and bring the best to Hong Kong. About 80 percent of our team consists of local talent who know the market,” he said. 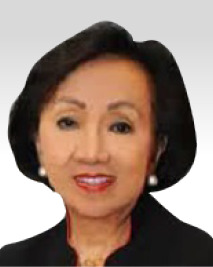 Besides manpower, Lo said the company is looking to customers to help build its virtual bank. “Our engagement model is to build the bank with our customers. We would like to engage them to give feedback and for the new operative model in Hong Kong to be community driven,” he said. So far, ZhongAn has only launched a website allowing potential customers to sign up for a newsletter. 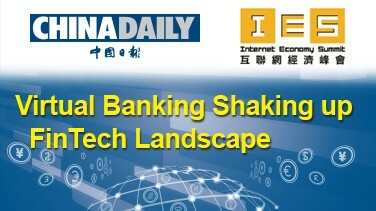 Virtual banks are brand new in Hong Kong, but discussions about the factors for their success abound. Panel moderator Nelson Chow — chief fintech officer for the HKMA’s fintech facilitation office — asked the panelists about their views on what virtual banks need to succeed. “What’s needed to be successful bank? First and foremost, trust is needed,” said Samir Subberwal, managing director and regional head of retail banking, Greater China and North Asia, at Standard Chartered Bank (Hong Kong). He acknowledged that Standard Chartered has the advantage of 160 years of “trust” behind it. “Next is scale. We rely on our partners, like PCCW, for that. The question now is how to deliver financial services. We need to imbed our services into the daily digital life of consumers. Our partners have excellent telecommunication, entertainment networks and ecosystem,” Subberwal added. Standard Chartered Bank (Hong Kong) is working with telecommunications companies PCCW and HKT, and Chinese mainland online travel service provider Ctrip in its virtual bank joint venture — SC Digital. The diverse mix could make it possible for SC Digital to rapidly scale up. Subberwal believes that the team and culture cultivated at virtual banks are important factors. 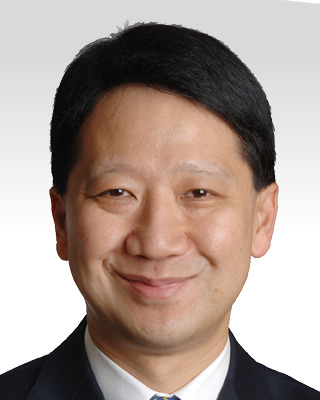 Michael Wang — head of Bank of China’s virtual bank working team — believes it also has a lot to do with timing. “Everyone has a stake in this, and timing is key, especially when the acceptance rate of new technology is growing fast. For Hong Kong, it’s the right time,” he said. Chan reckoned that trust and engagement are the major ingredients. 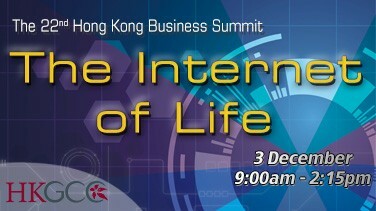 “We need to ensure that cyber security standards are met first to ensure there’s trust from the customers,” said Chan. “All banks, not just the virtual ones, have to be vigilant about it.” Engagement, he added, also requires education. “A lot of customers also don’t understand financial services. So, how do we make intelligent solutions and use tech to serve them better?” Lo concurred, suggesting that virtual banks should use a different approach in measuring their performance and direction. “Traditional banks use benchmarking analysis to gauge. 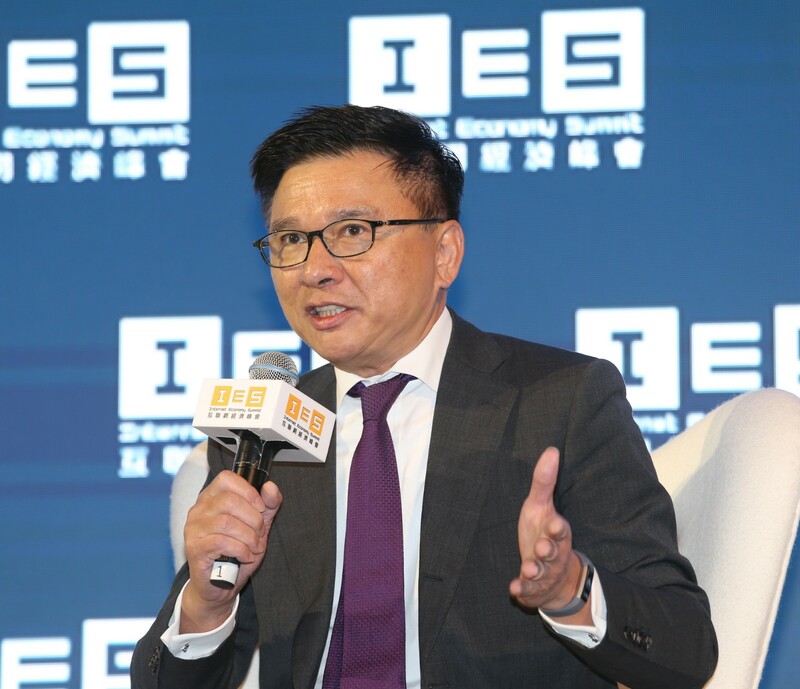 We should look into the people living in Hong Kong and see what they want, then leverage technology to provide that,” he said, adding that it’s important for virtual banks to join forces and educate the public. People, he said, are ultimately the ones who’ll be making adaptions in the financial ecosystem. This encompasses not just the public, but those working in virtual banks too. “We have people coming from the traditional banks and startups. If people decide to be the changers, virtual banks provide a platform for Hong Kong talents to make it a better place,” said Lo. He sees working closely with regulators to make sure the systems are resilient and secured. He believes combining that with the right services will see high adoption rates. “Hong Kong consumers are clever and will shift. We’ve seen they’ll try new platforms, be it retail, logistics, they will try,” he said. As the new kid on the block, virtual banks have a lot to assure the public, especially of the security which is much concerned — a topic that the panelists returned to during the discussion. “As newcomers, we need to work harder in setting up procedures to ensure compliance and security measures are met,” Chan said. He felt that virtual banks can essentially be considered regulated sandboxes, but secure ones. Subberwal adopted a ground-up approach to building SC Digital’s ecosystem. “We use the latest and best tech available. A lot of virtual banking will be based on cloud technology, and we’ve built ours from scratch by working with the best providers. That way, we’ll be able to architect data to be protected from cyber security risks,” he said. Other panelists noted that the traditional banks, not just virtual banks, need to be aware of cybersecurity risks and trends too. 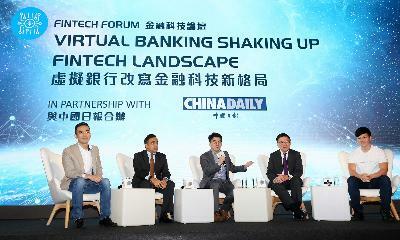 As moderator, Chow asked the panelists what they expect the virtual bank landscape to be like in five years. 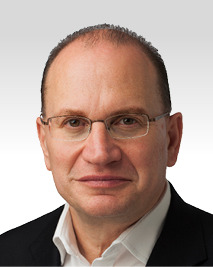 “Five years will transform a lot, just look at the mobile payment landscape alone. Banking will see a lot more collaborations and developments in the ecosystem for the ultimate benefit of customers,” Lo replied. “As virtual banks propel Hong Kong into a new era of fintech, we need to learn how to work with traditional banks and startups. I don’t think Hong Kong has been lagging behind, but we need to take things forward and provide world-class services.” Chan believes that in the next five years, both traditional and virtual banks will know their customers better. “There would be different products and interesting offerings to different products to serve lifestyle and finance needs,” he predicted. 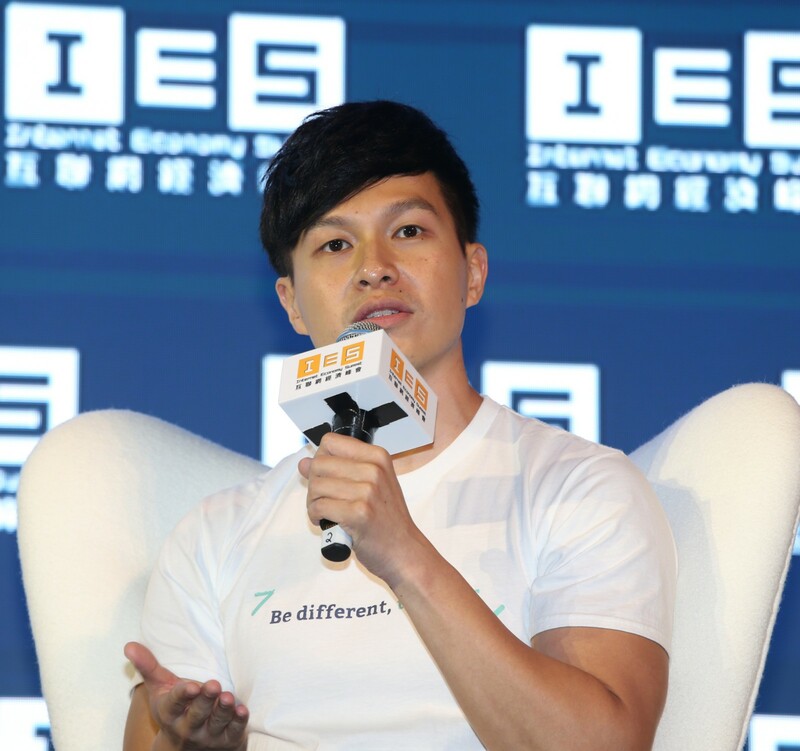 Although he doesn’t foresee substantial changes in Hong Kong, Chan expects more engagement between banks and small and medium-sized enterprises, particularly in blockchain solutions. And, the Guangdong-Hong Kong-Macao Greater Bay Area is a particularly interesting prospect. “Fintech in Hong Kong can serve a bigger base of customers. 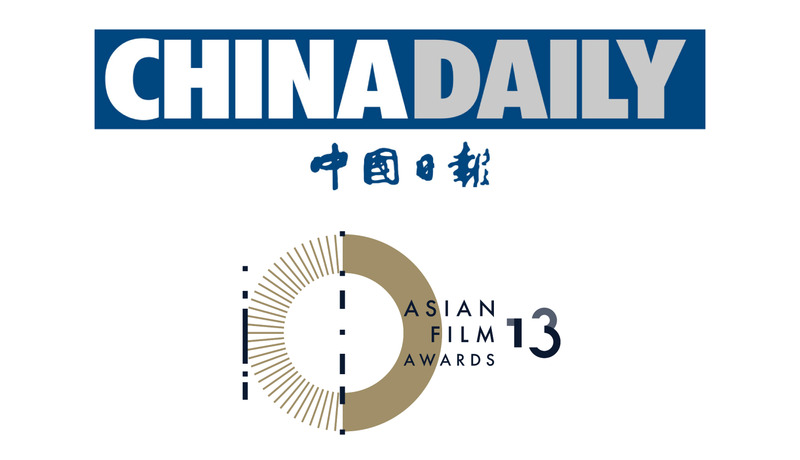 Concepts tested and proven here can bring a lot of opportunities beyond Hong Kong,” Chan said. But, its development has to be in line with policies, which are still evolving, he added. At the end of the panel discussion, members of the audience joined a live poll on how many virtual bank accounts they would open with the four existing players. Although “two” was the top pick, 13 percent of them still chose “none”. 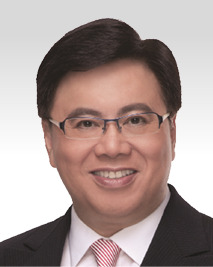 Based on the poll results, Chow said virtual banks have their work cut out for them to get the general public on board. ZhongAn Virtual Finance — one of the first three financial institutions to have been granted a virtual banking license in Hong Kong last month — is struggling to improve customer experience in the SAR through online and offline client engagement as part of its preparations to begin operations. 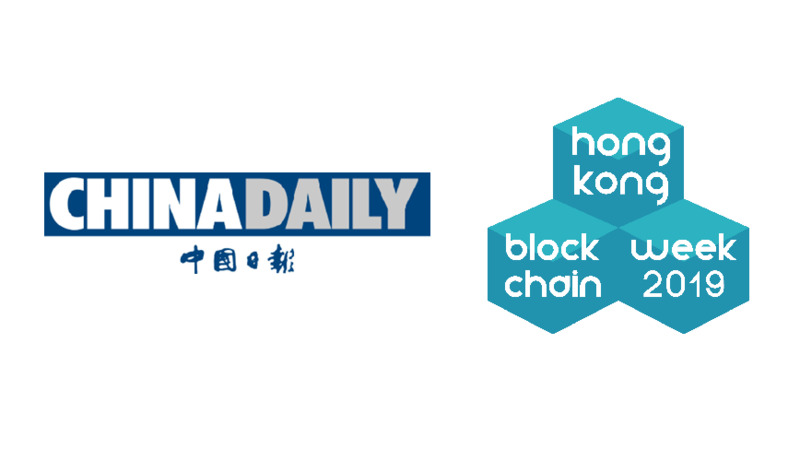 Ken Lo — founding member of ZhongAn International — told China Daily after the Internet Economy Summit on Tuesday the company’s maturity and its firm determination to invest in the industry had played a big part in winning the license from the Hong Kong Monetary Authority — the city’s de facto central bank. 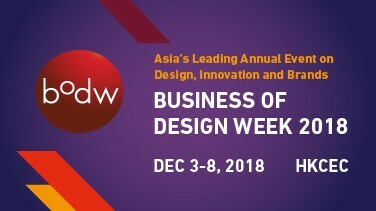 “Our unique advantage turns out to be our operation model — co-creation with our clients — that can be seen in our slogan ‘Be different together’,” he said. 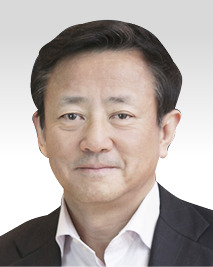 “We’ll communicate with our clients closely, both online and offline, ahead of the official launch of our products and services to enable us to know more about their demands and the pain points.” ZhongAn Online P&C Insurance — the parent company of ZhongAn International — will take a controlling 51-percent stake in the virtual banking arm. The parent company, which was set up about six years ago, is the first Chinese mainland financial institution to put its core system into the cloud system, enabling it to gain richer experience in cyber-security, data protection and information safety, Lo said. According to the HKMA, the newly licensed virtual banks intend to start operations within six to nine months. 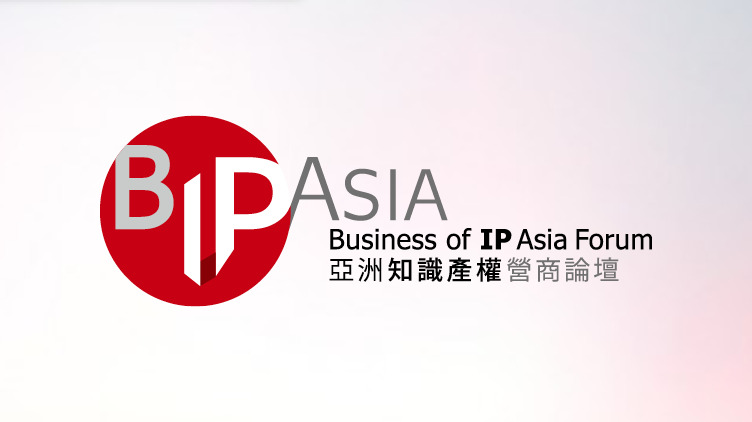 “We hope to officially launch our products and services within this period,” said Lo. 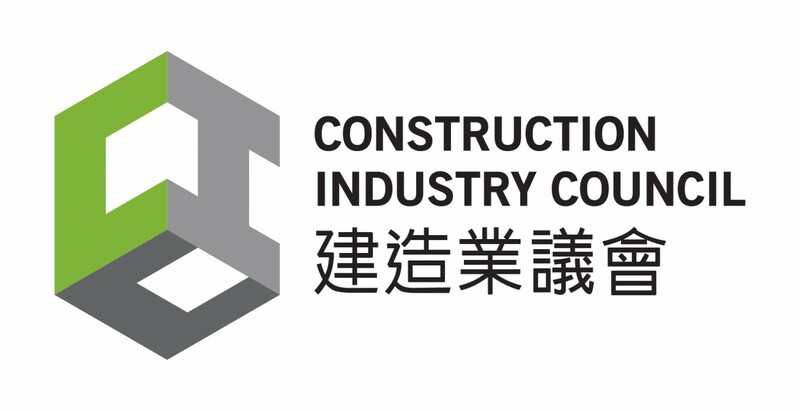 “Thus, we’re working on the system building and testing processes for front-end and back-end as part of our preparations, hoping to meet the regulatory requirements once our system is rolled out.” Apart from ZhongAn, the HKMA had granted two virtual banking licenses last month to companies that have teamed up with traditional banks Standard Chartered and Bank of China (BOC) Hong Kong Holding, including fintech companies from the Chinese mainland, such as JD Digits and Ctrip Finance. Last week, online lending platform WeLab won the fourth such license so far. HKMA said good progress is being made in processing the remaining five applications for virtual banking licenses, including those from Tencent’s Tenpay, Alibaba affiliate Ant Financial, smartphone maker Xiaomi and Ping An Insurance. 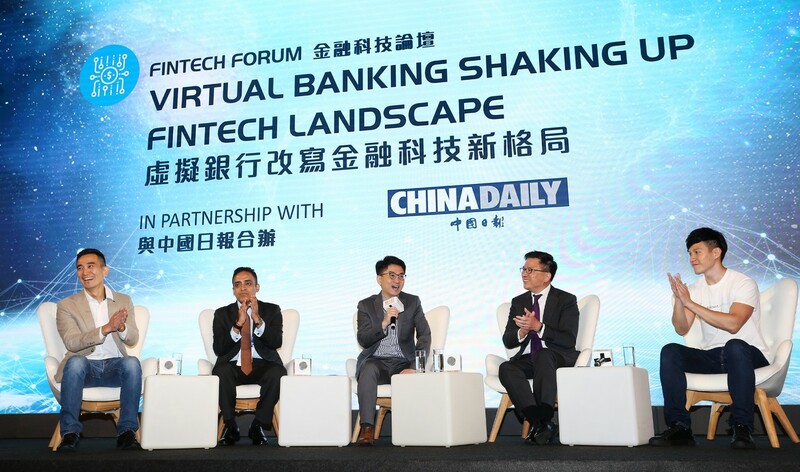 “From ZhongAn’s perspective, we’re very open minded and I believe the banking sector’s future lies in the co-existence of both virtual banks and traditional banks, as every player within this landscape has its own merits,” Lo said. 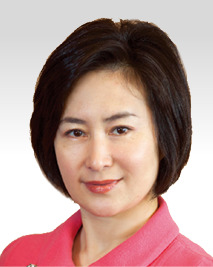 Hong Kong’s banking industry, he noted, is seeing stable growth each year, reflecting continued demand from customers. Thus, he believes, the sector’s future is not a zero-sum game, but a struggling business that places its priority on customers. 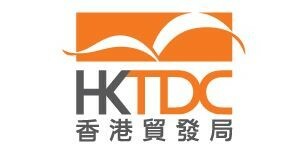 Leveraging the development of the Guangdong-Hong Kong-Macao Greater Bay Area, which projects Hong Kong as a leading international innovation and technology hub, virtual banks could explore more opportunities, based on the region’s larger customer base that could, ultimately, help Hong Kong attain this status, Lo added. 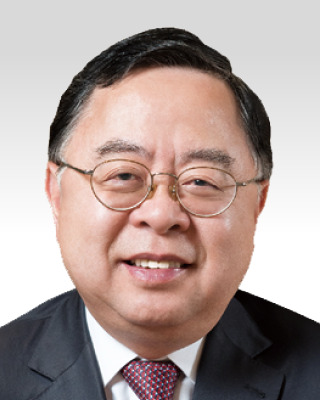 HONG KONG - With global trade troubled by lingering uncertainties, the special administrative region will staunchly support free trade, defend the multilateral trading system and help build bridges for different trading blocs, Secretary for Commerce and Economic Development Edward Yau Tang-wah pledged on Tuesday. 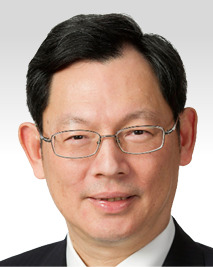 “The trade war benefits no one and so, we’ll support free trade and defend the multilateral trading system,” he told a breakfast panel discussion entitled “Hong Kong’s Role in the Changing Multilateral Trade Landscape” on the second day of the 2019 Asian Financial Forum, jointly organized by the Hong Kong SAR Government and the Hong Kong Trade Development Council. “We’ll also find ways to build bridges with other trading partners as we have concluded or signed new trade arrangements. 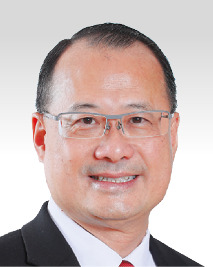 We’re building a better environment for businesses,” said Yau. “Uncertainties in the China-US relationship will likely persist in the foreseeable future. These tensions and uncertainties would potentially impact global growth, disrupt trade corridors, and realign and redistribute global supply chains,” asserted Laurence Li Lu-jen, panel moderator and chairman of the Financial Services Development Council -- the government’s top-level advisory body to promote the city’s financial services industry. China and the US have begun three months of talks -- from December last year to the end of next month -- on thorny structural issues, such as intellectual property protection, technology transfers and reducing the US trade deficit with China. If no agreement is reached by March 1 this year, the US has warned it will raise its 10 percent tariffs on US$200 billion worth of Chinese imports to 25 percent. As at November last year, the HKSAR has signed nine free trade arrangements with the 10-member Association of Southeast Asian Nations, Georgia, the Macao SAR, Australia and the Maldives. 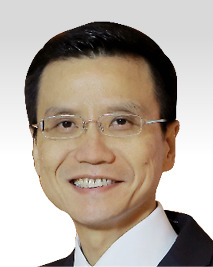 “Through FTAs, we’re assuring the market, creating certainty in the unpredictable environment and encouraging international businesses to use Hong Kong as the platform to promote global trade,” Yau added. 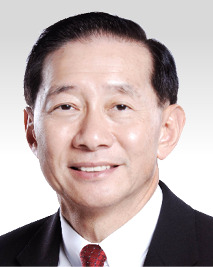 Victor Fung Kwok-king, group chairman of Fung Group, said the global supply chain adjustment, due to trade corridor rearrangements and trade pattern changes, is not unfamiliar to Hong Kong. “The situation is like when the Chinese mainland is opening up its economy that is affecting global supply chains. 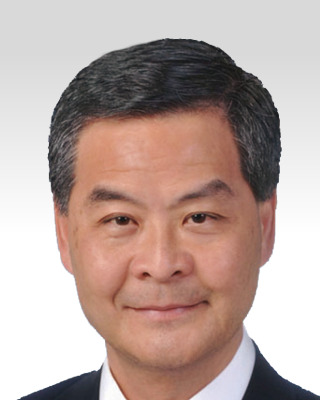 Hong Kong is redefining its role to accommodate to the new pattern of trade flows,” he said. 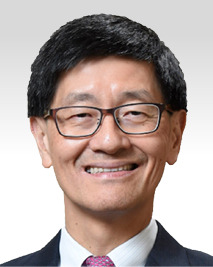 The Belt and Road Initiative can further create new opportunities for Hong Kong businesses, according to Fung, when the Chinese mainland’s small and medium-sized enterprises may mass relocate their supply chain networks to various countries along the BRI route. According to the World Trade Organization, Hong Kong was the world’s seventh-largest merchandise trade exporter in 2017. 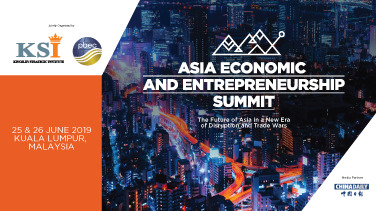 John Slosar, chairman of the Hong Kong-United States Business Council (Hong Kong Section), said Hong Kong enterprises can still employ their nimbleness amid the new environment in international trade. 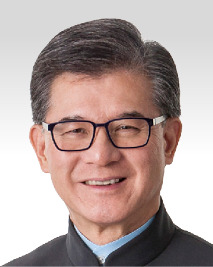 “Although the global trade spat leads to diversification of supply chains, the process, however, takes time so that Hong Kong businesses can adapt to the new situation just like when manufacturers were relocating their supply chains outside the Pearl River Delta region in the last decade,” said Slosar, who is also chairman of Hong Kong’s flagship carrier Cathay Pacific Airways. Hong Kong International Airport has been ranked the world’s busiest airport for international cargos since 2011. The city was also ranked fifth globally in terms of container throughput in 2017. The change in consumption and trade corridors driven by the rise of the middle class on the Chinese mainland, emerging markets, global asset redenomination and the mainland’s capital account opening will reshape the international trade environment, panelists reckoned. 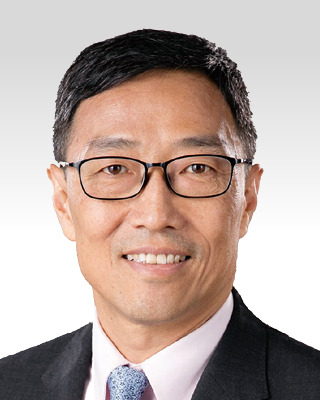 Benjamin Hung Pi-cheng, Greater China and North Asia regional chief executive officer at Standard Chartered Bank, said Hong Kong can also play a role in facilitating investment flows into and out of the Chinese mainland. For the last five years, the Asia Pacific has been the fastest growing market for impact investments. According to the Global Impact Investing Network, private investors have put in US$904 million through 225 direct deals, and development finance institutions have invested around US$11.2 billion in Southeast Asia alone since 2007. The total was estimated to have reached US$38.6 billion by the end of last year. The impressive amount being channeled into the region is helping impact investing grow in Asia. 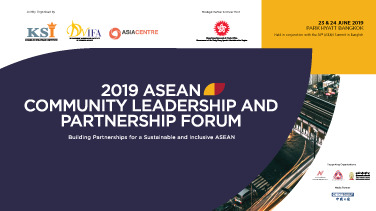 That has created both opportunities and challenges, both of which were the focus of a roundtable at the 2019 Asian Financial Forum. 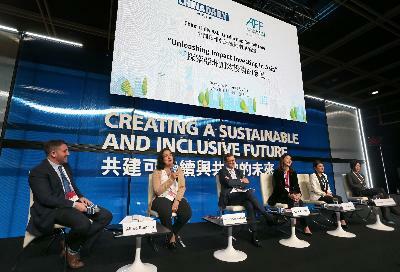 Co-organized by China Daily and the AFF, the goal of the “Unleashing Impact Investing in Asia” roundtable at the Hong Kong Convention and Exhibition Centre was to discuss a topic that, at least in Asia, is often misunderstood. 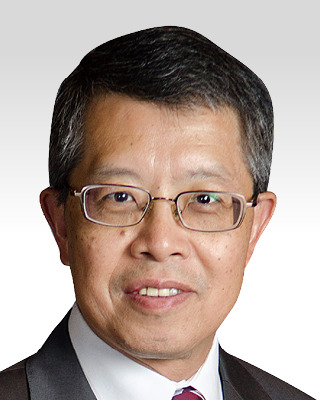 “With the erosion of capital and the slowing down of the economy, we want to look at the brighter side of things,” said Zhou Li, editorial board member of China Daily Group and editor-in-chief of China Daily Asia Pacific, in his welcome speech. IN PHOTOS: Roundtable: Unleashing impact investing in Asia “We want to throw the spotlight on the best possible tools of impact investments,” said Zhou, adding that he was happy to note that women made up the majority of the panel. Moderator Alfred Romann, managing director of Bahati Ltd and a contributing editor for China Daily Asia Pacific, kicked off the discussion with a question. “Asia is home to some of the greatest social needs and pools of capital in the world. The question is, how do we match the two?” he asked. Misconception about returns A key obstacle noted by the panelists was a misconception many investors have that sustainable investments do not provide good returns. Amy Lo, co-head of UBS Wealth Management Asia Pacific, recounts the time she spoke about that subject with a wealthy family. “When I brought up impact investing in our conversation, they tried to stop me and said they already have funds set aside for charity. I had to explain that impact investing is an investment strategy that considers environmental, social and governance (ESG) criteria that would generate equal, if not better, returns,” she said. “Education is needed to make the distinction between charity and investment. Impact investment is the new kid in the region; it is getting good traction but more awareness is still needed.” Naina Subberwal Batra, chairperson and CEO of AVPN, concurs. “We take a very left and right brain approach to investment and sustainable causes. Philanthropy is very close to all of our minds; there isn’t anyone in this room who doesn’t want to do good. Yet, not enough are applying it to their portfolio,” said Batra. “In the long run, the returns on sustainable investments are actually much better. It’s important to break that boundary,” she added. 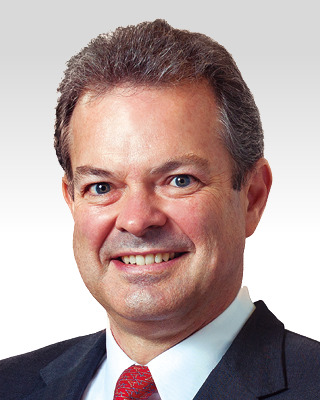 Lo cited a study a study by UBS on 5,000 global investors, of whom 400 were in Hong Kong. “Two-thirds agreed that impact investing is an important topic. But only 30 percent invested as such. In Hong Kong, 85 percent of them were in agreement. Yet, less than one-third put their money in it,” said Lo. “Achieving any impact is a long-term investment because impact takes time. Investing in industries that either do no harm or are improving conditions is just good business sense. So it should provide the same returns,” said Batra. Geert Peeters, executive director and chief financial officer at CLP Holdings, said environmental, social and corporate governance reporting would help with awareness. “Communication and transparency is important, that’s why ESG matters. Data is the key to engaging others,” said Peeters. He also called for other metrics to measure the benefits of impact investments besides returns. 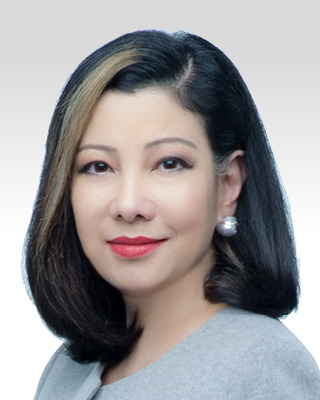 Need for products, teamwork Ronie Mak, managing director of sustainable investment company RS Group, said her firm has been looking at socially responsible investing since its founding 10 years ago. “When we were looking for sustainable investments, we couldn’t find any here that met our requirements. So we had to look to the EU for that. What that means is a flow of capital out of Hong Kong. We need more products and solutions here or in the region that meet investor needs,” said Mak. “What investors need to see are existing funds and actual products with track records. We need product solution suites, not just talk,” she added. 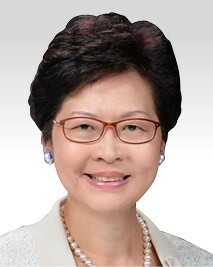 Mak stated that it was urgent for Hong Kong to embrace that. “Organizations in more mature sustainable investing markets are looking our way. It’s important that we do it before they do. We have our own unique culture here so let’s build sustainable investing our way.” Mak also responded to an audience member’s remarks about the need for cohesion between all investors and stakeholders. “We recognize the gaps in the ecosystem. Fragmentation is something we see in a lot of initiatives. Collaborations to do it holistically makes sense,” said Mak. She suggested a peer group for likeminded investors so they can learn alongside each other and even co-invest, as it needs to be done “for the world and sustainability”. 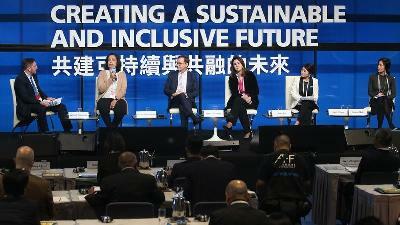 Judy Chen, chairman of UNICEF Hong Kong, urged everyone to think of the next generation. “We are all parents, our children have to grow in this world we leave them. 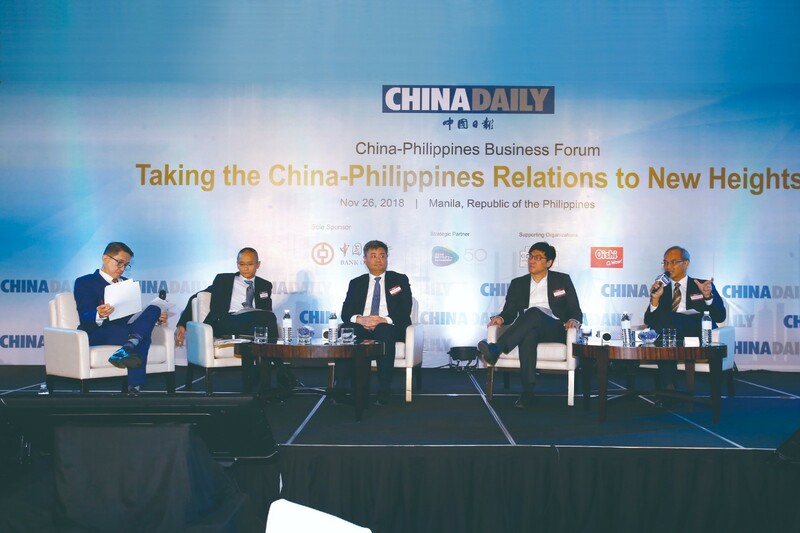 So let’s look at how we invest our wealth into it and create a better world for the next generation,” said Chen. Karen Ho, an audience member who works in financial products sales at Bloomberg, found the panel discussion “fantastic”. 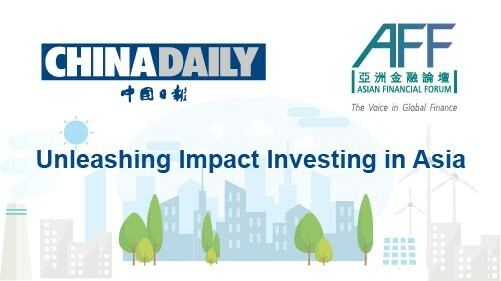 “It was spot on about Asian investors having different views and concerns about impact investing. I also agree with the ideas about collaborations because the market is very fragmented,” said Ho. “I particularly liked the point about building the sustainable investing ecosystem our own way with consideration to our needs and culture. A lot of existing guidelines are very US and EU-focused,” she added. 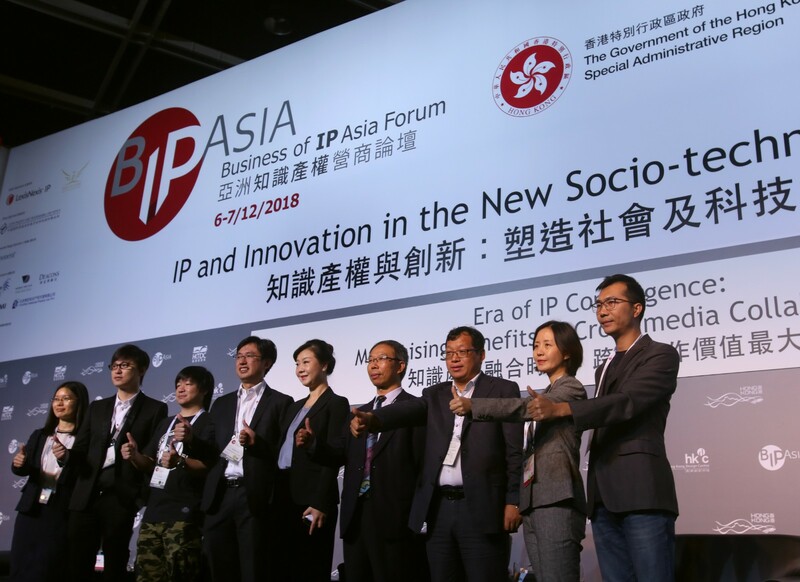 Pindar Wong, chairman of VeriFi (Hong Kong) and chief architect of the Belt and Road Blockchain Consortium, also stressed the importance of impact investing. “If we don’t have impact investing, which encourages sustainable industries, we don’t have very much left. And, I think China has a great opportunity to lead,” Wong said. He believes that through his effective invention — a positive sum cryptocurrency — people can now uses measurements to evaluate the social impact. Wong added that, in the digital world, when talking about ideas, people do not have to play a zero sum game and can actually achieve a win-win situation. There are a lot of problems with negative social impact called “negative externality”. For instance, when a man pollutes (the air) with carbon dioxide, the cost is not borne by him — it’s borne by society. Now, the negative impacts that other people are putting their costs on society must be reduced.